These Vented Blank Panels are ideal for use in filling gaps in open frame racks and enclosures. They are meant to alleviate the equimpent heat out of an enclosure and to remove the gaps providing a professional finished appearance. 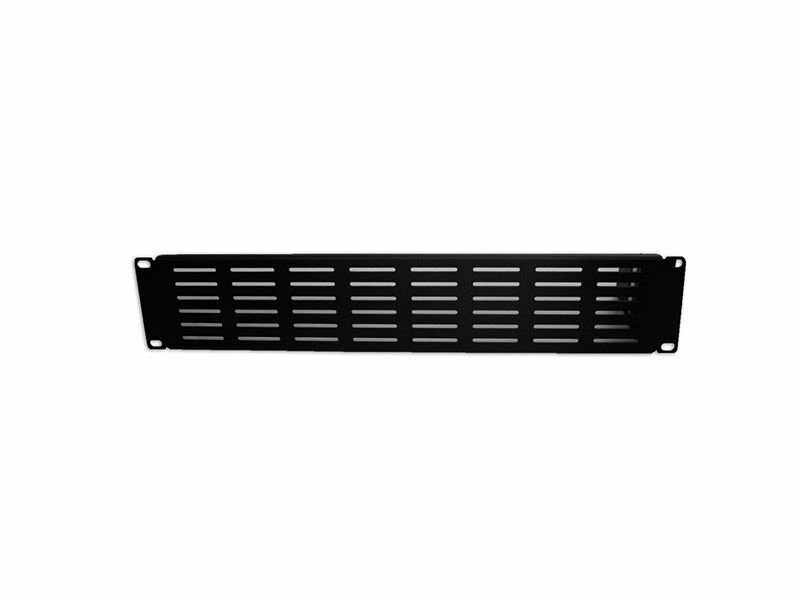 These filler panels are also available in a non-vented style, and both types are available in 1U, 2U & 3U sizes. All come complete with a set of #12-24 mounting screws and have a black microfinish to match rack and enclosure color. Rack Size Width (Internal) 19"